Alexander Litvinenko may not be so unfamiliar sound in the ears of some of the world community. His figure was time to decorate the news in various international media in the second half of 2006, after his death revealed that similar material was murdered with radioactive poison polonium-210 isotope. Before his death, was a former spy agent secret intelligence agencies of Russia, Federal Security Sevice was ordered that he be buried with the Islamic way. Indeed, at that time only a few persons nearest Litvinenko who knows about Islam. 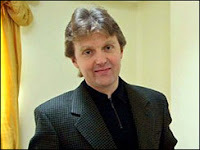 A number of international mass media reported that his funeral was conducted in secret at least 30 people who attended Litvinenko's close relatives. Own funeral ceremony was held in the northern city of London, England. A separate ceremony to honor the last time also held in Regent's Park Mosque, London. This is in accordance with the wish that his funeral procession was held in accordance with Islamic Shari'a. Even his father, Walter Litvinenko, reportedly attended the ceremony in Regent's Park Mosque with frontman fighters in Chechnya, Akhmed Zakayev. Litvinenko's relatives said the father of three was already a Muslim before he died. According to Walter, her son had declared himself converted to Islam while lay dying at the London Hospital until she died on 23 November 2006. 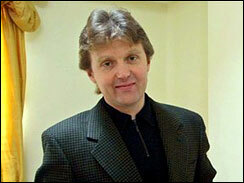 "Litvinenko converted to Islam two days before his death," said Walter told Radio Free Europe. In an interview with Russian newspaper Kommersant, which cited the Times Online edition of December 5, 2006, Walter said, his son who originally embraced the Orthodox Christian states last request before he died, namely that he was buried in Islam. "He said, wanted to be buried with the Islamic way. I said, everything will be done as he wants. We already have one Muslim in our family. However, the most important thing is to believe in the Most Great, God is one, "said Walter. While a colleague of Litvinenko, Ghayasuddin Siddiqui, who was then serving as Chairman of the Muslim Parliament of Great Britain, an official revealed that Litvinenko had converted to Islam a few days before he was poisoned. Meanwhile, Akhmed Zakayev, who ever lived next door to Mr Litvinenko, said, "The day before his death, he (Litvinenko) requested read the Koran and told his wife and other family members that he wanted to be buried in the Islamic tradition." No information obtained by reason Litvinenko converted to Islam. However, from several sites that reveal his career, Litvinenko apparently disappointed at the attitude of the Russian Government who are always fighting the Muslims in Chechnya. Hence, the number of sites revealed that Litvinenko's murder linked to a number of offensive remarks that the Russian Government policy at that time. In addition, interest in Islam seems Litvinenko with a peaceful attitude of Muslims and would act if they are forced to defend themselves. He saw, Muslims always striving for peace. His father, Walter Litvinenko, said his son was growing disenchanted with the so-called hierarchy in the Russian Orthodox church. He was trying to convey ketidaksimpatikannya the attitude of the church, but not obeyed.